With no green thumb, she’s going to be keeping animals healthy. Agriculture is the glue to the economy – that is Rachel Call’s belief. It provides the food we eat, jobs for people and resources we can’t live without. That’s one reason the 2018 graduate majored in animal science during her time at Missouri State University. Growing up in rural Centertown, Missouri, Rachel learned to ride horses at the age of three. From that point on, she was on a track to have a career helping animals. And Missouri State’s agriculture program gave her a leg up, teaching her how to grow that knack into a career. As a junior, she approached her adviser, Mike Klem, about getting a summer internship training horses. One phone call later, she secured a position. During her internship, she handled 90 horses and halter-broke 27 yearlings, getting them ready to ride. Rachel also helped rear the newborn foals, which will benefit in her post-graduation job. She’ll be working in hog production – including breeding, birthing, feeding and weaning pigs – at Murphy Family Ventures in Nevada, Missouri. 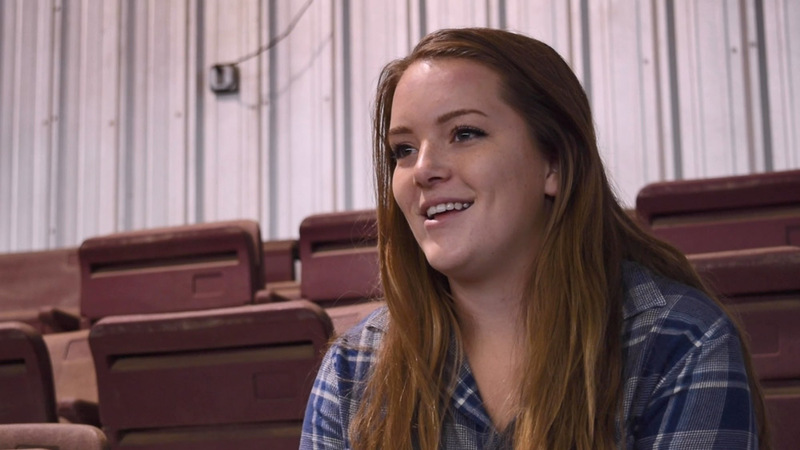 Rachel’s best experience at Missouri State was in the arena, too, but not on horseback. She was leading a horse for a child in a therapeutic riding program at the Equi-Librium Therapy Center. Although Rachel was nervous at first, she watched as the child gained confidence over the six weeks. “Absolutely life changing,” she said. As she was helping that child, she said, she had an a-ha moment about how much agriculture helps people in so many ways.